Mentioned briefly earlier, Kalyan Krishnamurthy is the new CEO of Flipkart, replacing co-founder Binny Bansal. It is not just the second CEO in as many years for Flipkart. This move is also seen by many as Flipkart investor Tiger Global (from which Krishnamurthy is coming) trying to get a tighter grip on Flipkart. Flipkart itself is painting this move as necessary for growing up as a company. In the new world order, the group organization – the one Binny will head henceforth – will be to build a portfolio of new, high value-creating businesses “that are disruptive and will transform commerce in India,” the company said. 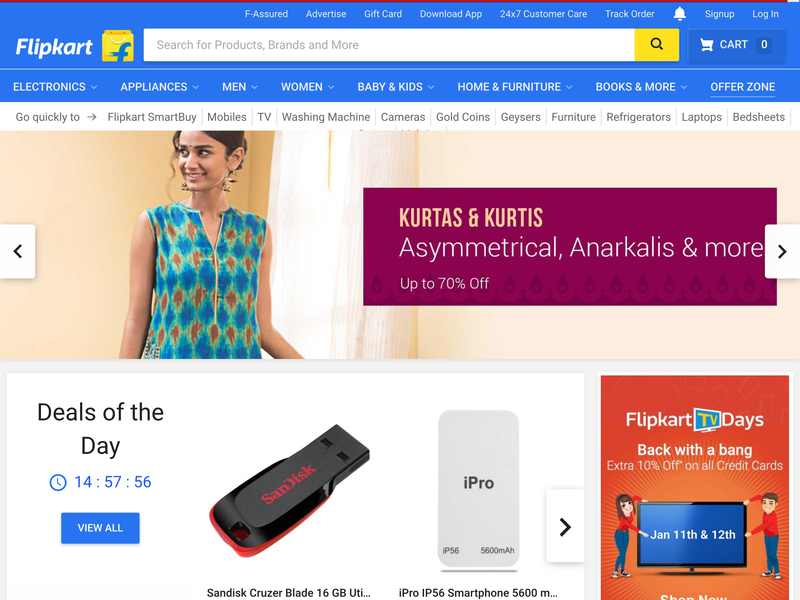 The Flipkart Group Org will look at strategies and mergers. Binny’s other responsibility as Group CEO will be to oversee capital allocation across all the group companies and CEO selection and compensation. He will also ensure that each business is led by a strong leader. Kalyan, what will be your immediate priority? How will your strategy differ from the one that was in place under Binny? Krishnamurthy: We don’t work on a three-to-four month agenda anymore. We work on a longer-term strategy. As I was saying before, nothing will be very different from what we did over the last six months—growth will be the key focus and we will continue to build capabilities. ​The new CEO has led to some high profile departures at Flipkart. Saikiran Krishnamurthy, who was moved from his post as head of supply chain when Flipkart got its new CEO on Monday, is quitting the company along with two other senior executives. E-tailer supply chain unit Ekart’s head Saikiran Krishnamurthy, senior vice-president (product) Surojit Chatterjee and chief marketing officer Samardeep Subandh are leaving the company, according to a company executive briefed on the matter. That last paragraph may hint at another reason for this turmoil: Flipkart recently announced a cost cutting initiative. Flipkart has been losing senior executives at an unprecedented rate, even for a fast growing company. In October, Sanjay Baweja, Flipkart’s chief financial officer, left. This was on top of an exodus that had continued all through last year, which counted the company’s vice-president and private label head Mausam Bhatt, senior vice-president of engineering Peeyush Ranjan, product head Punit Soni, chief business officer Ankit Nagori, and legal head Rajinder Sharma as casualties. ..so maybe all this is just business as usual by now? Meanwhile, what hasn’t slowed down is ad spending at Flipkart, Amazon and Snapdeal.